About six percent of pregnant women suffer two or more abortions, wherein the risk increases with age. A lack of stem cells in the endometrium could be a possible reason for habitual miscarriage, according to British researchers. Abortion can be said to have happened when a pregnancy ends before the beginning of the 24th week of pregnancy and the non-viable foetus or embryo is ejected. Characteristically the baby’s weight is less than 500 grams and no longer shows signs of life, such as breathing or heartbeat. 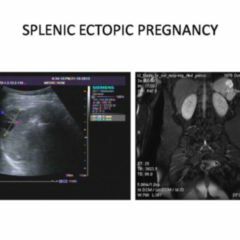 This common complication affects approximately 15 to 25 percent of pregnant women. Most miscarriages occur before the 12th week of pregnancy is reached. The most common reason for these so-called early abortions is malformity of the zygotes, for example due to disturbances in the shape and number of chromosomes. Should the miscarriage occur 13 to 24 weeks during pregnancy it is labelled a late abortion, often being triggered by ascending genital infections. About five percent of pregnant women suffer two, about one percent three or more abortions, wherein the risk increases with age. Stem cells are body cells that are able to differentiate into diverse cell types or tissues. Depending on their origin, one first differentiates embryonic and adult stem cells. Embryonic stem cells have the greatest potential. They can differentiate into virtually all cell types in the three cotyledons (endoderm, ectoderm and mesoderm). They are recovered either from precursor cells of disposed foetuses, from excess embryos created during in-vitro fertilisation, or by therapeutic cloning. 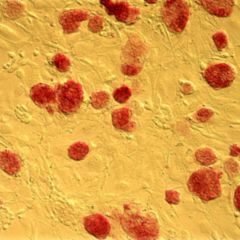 Adult stem cells, however, are to be found in the body throughout a person’s lifetime. They can no longer transform into a diverse range of cells, but rather only into certain defined tissues. For about ten years it has been possible to artificially produce stem cells. Japanese researcher Shinya Yamanaka developed a method [Paywall] for obtaining new stem cells from fibroblasts – cells which can differentiate into any of the more than 200 cell types in the human body. These artificially produced stem cells are designated induced pluripotent stem cells (iPS) . According to one study published in the journal “Nature Biotechnology” [Paywall] iPS produced from skin cells should even be functionally equivalent to embryonic stem cells. The disadvantage of iPS: they tend to form tumours. A further possibility is transdifferentiation. Here, a tissue of a germ-layer is directly – that is, not via a detour route involving stem cells – converted into tissue of another stem cell. Here however the body’s cells in the process run through a short iPS phase [Paywall], involving a certain danger. Stem cells are now an essential part of science. They are supposed to cure diseases, renew damaged cells and form tissue, through which processes in the body are able to be explored. For example, an international team led by the University of Bonn [Paywall] managed in autumn 2015 to convert the connective tissue cells of a mouse into placental stem cells by using four different transcription factors. From the placental stem cells they then even raised placental tissue. 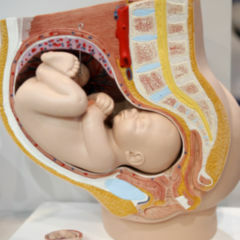 This should help in investigating disorders of placental formation and hence to better study infertility. The topic infertility is also one which occupies a British research group led by Kathy Niakan. It wishes to specifically alter genes from human embryos in order to find out which are necessary for successful development. The scientists involved want to focus on the first seven days after fertilisation of the egg. The scientists led by Jan Brosens from Warwick University and the Warwick Systems Biology Centre in Coventry, United Kingdom [Paywall], in contrast dealt with adult stem cells. According to their research results, a lack of stem cells in the endometrium is supposed to be the reason for frequent miscarriages. For their study, the researchers working under Jan Brosens examined endometrial tissue samples from 183 women. 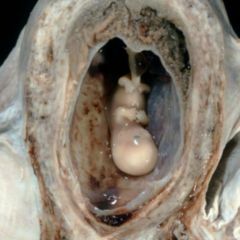 “After the embryo has taken root, the endometrium develops into a specialised structure called the decidua. This process can be replicated if the uterine cells are cultured in the laboratory”, says Brosens. Previous research had already shown in-vitro that habitual abortion is accompanied by an abnormal reactivity of the human stromal cells of the endometrium in the formation of the decidua. Although nidation does indeed take place, the pregnancy cannot be sustained. The underlying mechanism for this is unclear. In order to then investigate the reason for this, the team led by Jan Brosens initially determined the degree and pattern of DNA methylation of human stromal cells. DNA methylation is a modification of certain nucleotides, a process through which gene activity can be regulated. For example, cytidine bases within the DNA can either occur in their “normal” form or with a methyl group present – nonetheless only if they are situated in the so-called CpG islands. The label “CpG” refers to the dinucleotide cytosine-phosphatidyl-guanine, whereby the letter “p” denotes the phosphodiester bond between cytosine and guanine. CpG should not be confused with the CG base pairing. Jan Brosens and his team found some 200 CpG islands within the stromal cells, which when compared to the control group were either hypo- (48.3%) or hypermethylated (51.7%). After correction, these differences were however not statistically significant. When the scientists widened their search to all cytidine bases within the DNA, they discovered another 2,700 regions which, compared with the control group, were hypomethylated in about three out of four cultures when these were derived from women with habitual miscarriages (> 1.5 fold). The regions were rich in cytosine-adenine dinucleotide. These were localised over the entire genome, with increased frequently nevertheless in the vicinity of the telomere. Methylated cytidine bases, which have either adenosine, cytidine or thymidine as neighbours, are a feature of embryonic stem cells and iPS. Since methylation of cytosines is dependent on the DNA methyl transferase DNMT3A, the team examined mRNA concentrations accompanying decidualisation. Unlike in the control group, these were not higher. In a further experiment the transferase was switched off in the human stromal cells, whereby the amount of methylation of the cytosine-adenine dinucleotides had dropped, yet that of the CpG islands had not. Next, the researchers led by Jan Brosens examined the mesenchymal stem cells. 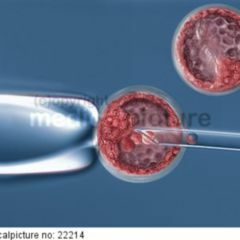 It was found that, compared with the control group, the proliferative capacity was significantly reduced in the samples from women with recurrent spontaneous abortion. In addition, as the number of previous miscarriages increased, the stem cell frequency dropped. Interestingly, the degree of methylation of cytosine-adenine dinucleotides correlated with the so-called high-mobility group proteins B2 (HMGB2). HMGB2 is a diverse protein that is involved, among other things, in the repair of DNA damage. The protein is also involved in the maintenance of stem cell populations; its loss is a marker for the irreversible loss of proliferative capacity of human fibroblasts (replicative senescence). If the stromal cells of the endometrium were lacking this protein, the cell cycle was blocked in the G0 / G1-phase, so too was the repair of DNA damage blocked. This led to accelerated ageing, which also affected the decidual reaction. “Cultured cells from women who suffered three or more consecutive miscarriages showed that the aged cells were not in a state to be able to adequately prepare for pregnancy,” says Brosens. The scientists want to now change this, for example with medications that increase the number of stem cells in the endometrium. New screening test that help vulnerable women to be better able to be identified are also being envisaged. The research attached to this aim is supposed to commence in the spring of 2016. “I can envision that we will be able to fix these defects before the patient attempts to become pregnant again”, says Brosens confidently. Until then, however, some time will pass. And: the causes of abortion are varied. Abortions can be triggered through a range of maternal, foetal or other circumstances. Besides genetic damage in the DNA of the embryo, chronic diseases such as diabetes mellitus, infections, synechia or drug or alcohol abuse of the mother can consequently lead to an abortion. Miscarriages per se cannot therefore be prevented.